Fully equipped waterfront cottages in the Kawarthas. Book one, two or three - side by side! COMING Spring 2019 - Part of a collection of side by side cottages on Big Bald Lake that are perfect for a corporate retreat, Big Bald Chalet is on a beautiful inlet and is within a few minutes walk to Big Bald Cabin and Big Bald Lodge which will be fully equipped with a commercial kitchen and flexible indoor and outdoor spaces! Northern Avenue Chalet on Little Bald Lake- has a sister property across the street- is a newly renovated waterfront 2-story Lux chalet style cottage, clean and pristine. 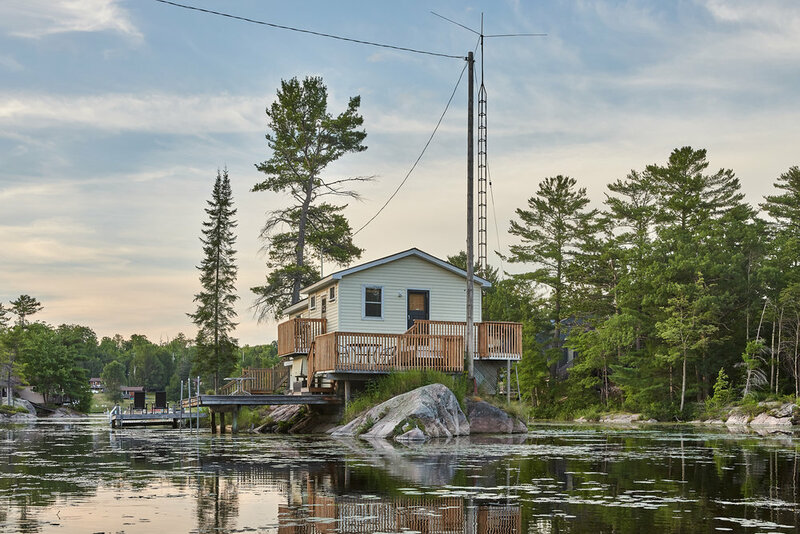 Even though Canadian summers are unpredictable, you can count on the beautiful four season environment of this cottage- its relaxing vibe, and gorgeous ambiance is palpable. Comfort Cottage on Buckhorn Lake is newly renovated in style, no roughing it here! A stunning home in equally stunning surroundings located on the waterfront. Natural landscaping and chock full of all the comforts of home, you will thoroughly enjoy the beauty and feeling of this cottage both inside and out. Lotus Loft on Big Bald Lake is a stunning petite beauty, charming both inside and out. This transitional midcentury/modern cabin offers 360 degree views as far as the eye can see in a private setting. Cottage yes, but fully equipped and upscale on an amazing lake that affords the feel of comfort and beauty in tandem. "Thank you for making our stay spectacular. Every thoughtful detail truly made it experiential!"